Alright, first I want to say thank you to the amazing people that have been hosting this blog tour, and I'm so incredibly thankful to have had the chance to read and review this book! So I've never read a book by Staci Hart, but I've been so attracted to her covers FOREVER! Getting to finally be able to read the books from these beautifully covered pages was honestly amazing! I've also never read Persuasion before, so I think it's about time I got to that huh? A Thousand Letters starts right off the bat into the story, and you're immediately thrust into a huge tailspin of emotions, that make you wonder what could possibly happen after all of this is said and done. Elliot is the kind of girl, I can completely relate to. She is the one person who is always giving, always puts other people ahead of herself, even if her life and world are completely crumbling down in front of her. She puts a brave face on, and let's it all go, rather than fully speaking out and taking time to care for herself. 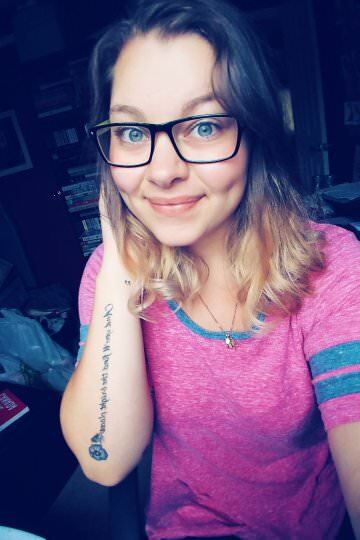 As the novel progresses, you see her finally take on her own self and realize that she has so much power within her, and when she finally releases it... DAYUM GIRL! total inspiration! For Wade (Because you actually read from both perspectives throughout the novel) you see his past coming back to his present, how his life has been tangled with Elliot and you honestly can't not have some part of hate (or dislike) and some part of pure love and empathy. So I don't normally root for certain things to happen that are out of norm, and I totally was doing that at the beginning, until a pretty intense twist came up from behind me and then I quickly said to myself "totally knew it wouldn't work out anyway" *pshh like you all haven't done that yourself?! * I also don't normally use the word HATE when it comes to other characters, because even though they are the villain in the story, they're not too bad...boy was I wrong! Seriously the entire time, from beginning to end, I truly hated some of Elliot's family. I know that may be a spoiler, but you won't even understand my level until you read this! I was practically yelling at the book at the hatred I had! "There is no length to love; it's infinite. It lives in you always. Hold on to it." Of course through this journey, you really see the pure and raw emotion seeping through the pages and characters, and although I was thinking it would go one way, I totally loved how it all turned out. It was so beautifully heartbreaking yet freeing by the time I got to the end. You really feel the pain that these characters deal with, and although personally I felt like it could have sped up around the middle, and have stronger moments between Wade and Elliot (even though I respect the way it was written!) it would have been even more amazing! "He kissed me with a thousand promises on his lips." "Braveness isn't always loved, Sometimes it's silent." "I could heal him, but he would ruin me." Honestly, this isn't a book that is basing it's story around a romance. It's pure, raw, honesty. It's about grieving and trying to move on. It has many moments where you'll be crying until there are no more tears, and moments where you're hopeful for their ending. I seriously found this to be a great novel because it actually gives people a chance to say what they need to, and gives readers an outlet to try to move on from their pain. This is filled with love, loss, and a whole lot of pain that was captured in the perfect way...at least in my eyes it did. So thank you to Staci Hart for writing a novel that speaks to more than just a romance coming after grief. Thank you for writing a realistic story that showed a lot of dimensions (From Wade's profession to the family dynamic) and for basically showing that we all to have this pain and loss, but that we can heal from it somehow. Overall I really loved this book. I'm not sure if it's with the timing that I read this that it was so powerful, or just that I could connect with it so strongly; either way it doesn't matter, because it was truly great. Sometimes time is all it takes...It was so strong and so powerful, and definitely one to treasure! 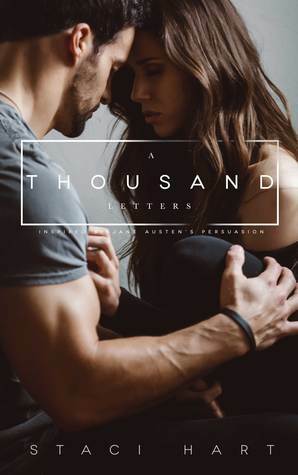 That's all for my review of A Thousand Letters, I really hope you liked it, and I am definitely telling you to pick it up and to read it, because it's so beautifully written!